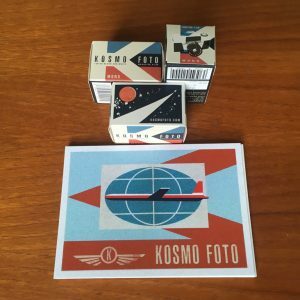 Three rolls of Kosmo Foto Mono 35mm panchromatic black-and-white film, plus five stickers. 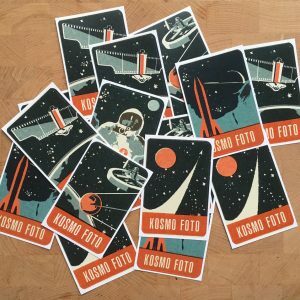 The stickers are based on the Kosmo Foto space postcards. The stickers are 84mm by 55mm and perfect for personalising laptops, tablets, journals, diaries, negative binders, notepads and film fridges. They are inspired by the Soviet space programme and East European art. Each set contains five stickers, one of each design. 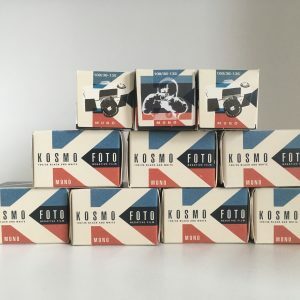 What’s better than a three rolls of Kosmo Foto Mono black-and-white film? 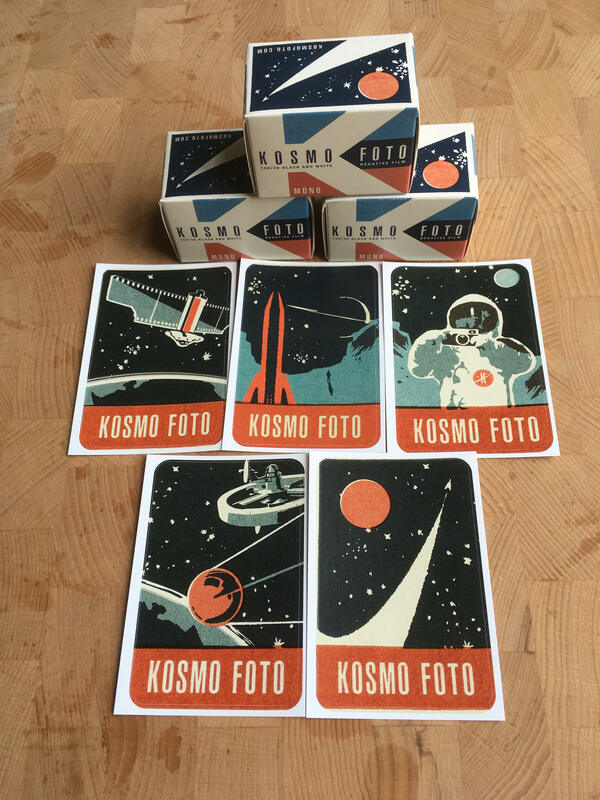 How about a set of Kosmo Foto space stickers aswell? 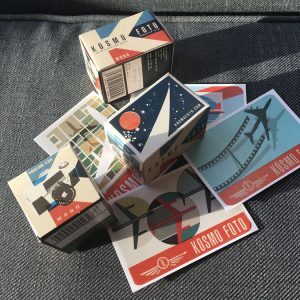 This combo includes three rolls of film and the five-sticker set for only £15.